For scientist and layman alike this book provides vivid evidence that the Copernican Revolution has by no means lost its significance today. Few episodes in the development of scientific theory show so clearly how the solution to a highly technical problem can alter our basic thought processes and attitudes. Understanding the processes which underlay the Revolution gives us a perspective, in this scientific age, from which to evaluate our own beliefs more intelligently. 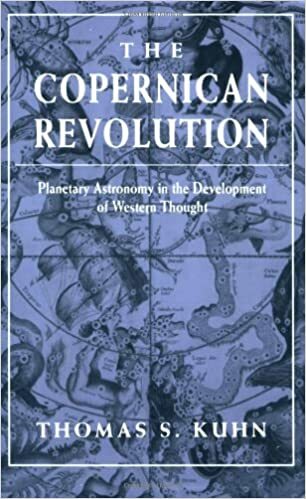 With a constant keen awareness of the inseparable mixture of its technical, philosophical, and humanistic elements, Mr. Kuhn displays the full scope of the Copernican Revolution as simultaneously an episode in the internal development of astronomy, a critical turning point in the evolution of scientific thought, and a crisis in Western man's concept of his relation to the universe and to God. The book begins with a description of the first scientific cosmology developed by the Greeks. Mr. Kuhn thus prepares the way for a continuing analysis of the relation between theory and observation and belief. He describes the many functions--astronomical, scientific, and nonscientific--of the Greek concept of the universe, concentrating especially on the religious implications. He then treats the intellectual, social, and economic developments which nurtured Copernicus' break with traditional astronomy. Although many of these developments, including scholastic criticism of Aristotle's theory of motion and the Renaissance revival of Neoplatonism, lie entirely outside of astronomy, they increased the flexibility of the astronomer's imagination. That new flexibility is apparent in the work of Copernicus, whose DE REVOLUTIONIBUS ORBIUM CAELESTIUM is discussed in detail both for its own significance and as a representative scientific innovation. With a final analysis of Copernicus' life work--its reception and its contribution to a new scientific concept of the universe--Mr. Kuhn illuminates both the researches that finally made the heliocentric arrangement work, and the achievements in physics and metaphysics that made the planetary earth an integral part of Newtonian science. These are the developments that once again provided man with a coherent and self-consistent conception of the universe and of his own place in it. This is a book for any reader interested in the evolution of ideas and, in particular, in the curious interplay of hypothesis and experiment which is the essence of modern science. Says James Bryant Conant in his Foreword: "Professor Kuhn's handling of the subject merits attention, for... he points the way to the road which must be followed if science is to be assimilated into the culture of our times."